After having completed the Crash Bandicoot N. Sane Trilogy on the PlayStation 4, I can easily count myself a new fan of the series. And out of these three delightful platformers, I would have to say that the third game is my favorite, with its fun variety of stages and less aggravating difficulty level (on the most part; I’m looking at you, Rings of Power). And so I decided it would be fitting that, rather than listing the toughest levels, I would instead discuss my favorite levels from the game. Off we go! 3 – Under Pressure: After suffering many deaths where Crash essentially drowns after touching an inch of water, it was a breath of fresh air getting to actually play an entire level underwater. Or, the complete opposite of a breath of fresh air…because we’re, you know, underwater. Nevertheless, controlling cute scuba-diving Crash through the water was pretty fun, especially when we got that little torpedo-launching vessel. 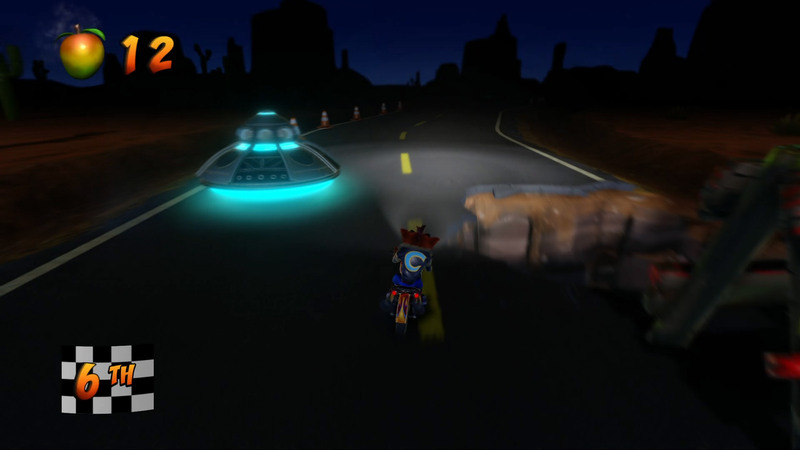 2 – Area 51? : The title of this optional stage clearly hints at the possibility of UFOs. Despite this forewarning, however, I was caught a bit unawares when I found myself riding a dark desert highway at night with nothing but the motorcycle’s headlights to guide me. For a time, I drove my way carefully, cautiously, forward, when what do I spot but a glowing flying saucer coming down from the sky to hover over the road! While this is essentially just another motorcycle race, my little adventure on that dark lonesome road was one I won’t soon forget! 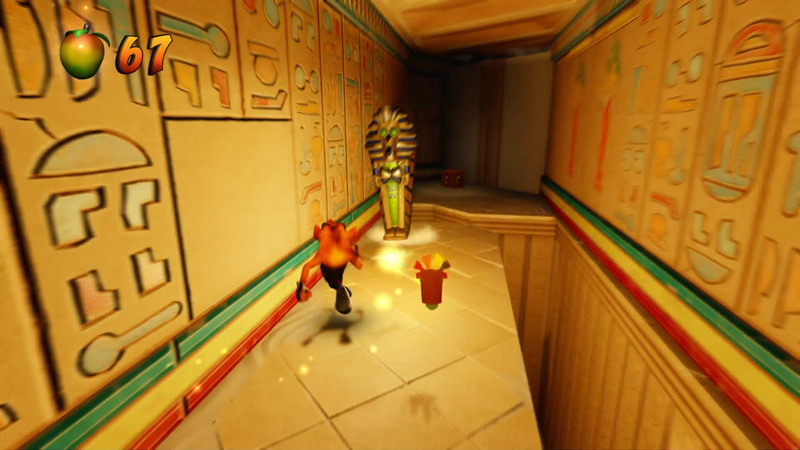 1 – Bug Lite: In general, I loved all of the Egyptian tomb-themed levels in this game. One that stood out to me above the rest, however, was the final main stage of the game, Bug Lite. In this level, we actually explore a tomb in pitch black darkness, guided only by a firefly that will remain with you for a limited time. As cool as it is exploring a tomb, visiting one in the dark is far spookier, and more exciting. And now it’s your turn to share, dear readers! Which levels of Crash 3 are your favorite? What about your favorite levels from the whole trilogy? Let me know in the comments below! I was curious about the Crash Bandicoot series for years, so I’m really happy they finally released an HD remake of the original three games, since buying PS1 games is not that easy nowadays. It’s really nice that, with remakes, Virtual Console, PlayStation Store, XBox Live Arcade, etc, older games are now becoming more accessible.